For healthy skin, your skin care routine should include a face mask at least once in a while. There are hundreds of peel off face masks available in the market from various brands across the world. However, even if the product is from the best of brands, it will have some or the other chemicals and additives in them. Therefore a healthier way is to switch to DIY peel off face mask which can be prepared quickly at home. Harsh rays from the sun and the pollution in the air leaves the pores on your skin clearly visible. These pores do not quickly go away, but the peel off face mask we discuss here when followed religiously will show the tremendous difference. Whisk an egg white along with the extracted lemon juice in a bowl until fluffy. Add some honey if needed. Now, expose your skin to light steam for about 5 minutes. Wipe off the moisture. Now apply the pack evenly on your skin using a brush and paste thin layers of tissue over it. The tissue paper helps in peeling off the mask quickly. Wait until dry and peel off. Egg whites have excellent astringent properties and help reduce pores and tighten the skin. Lemon is a great natural bleaching agent and also a cleanser. They also have antibacterial properties. Honey which is a rich source of antioxidant will slow down the aging of the skin and prevent acne with its antibacterial properties while providing that golden glow that you always wished for yourself. Therefore with regular use of the mixture, your skin looks younger, lighter and wrinkle free. This one is similar to the face-mask as mentioned above but you can call it an age reversal face mask. Yes! This peel off face mask tightens your skin making you look at least ten years younger. Separate an egg white from its yolk and whisk it until it's dense and foam. It will form the base of your peel off mask. Add the lemon juice and coconut oil into it. Cleanse your face using slightly warm water and pat dry. Apply the mixture onto your skin and wait until completely dry, this will take about 10 to 15 minutes. Peel off the mask and wash with cold water. Benefits Lemon which is rich in vitamin C and citric acid will help lighten and brighten your skin while egg white tightens it. Coconut oil used is an amazing moisturizer and removes dead cells leaving your skin soft and supple. It is a deep cleansing face mask that can eliminate whiteheads and blackheads easily. It is also much cheaper than the blackhead strips you buy from stores. Add all dry ingredients into a bowl and mix well. Apply the mixture onto freshly cleansed face and leave it undisturbed. 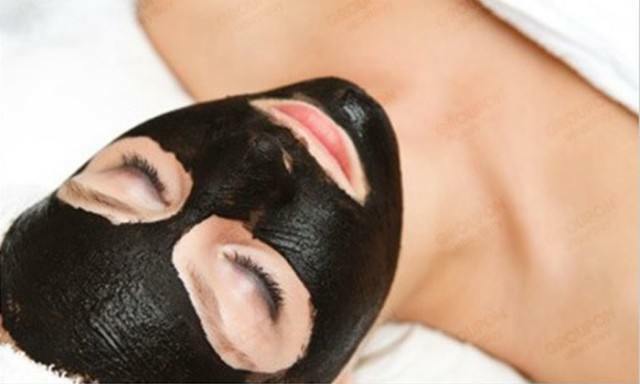 Once dry, peel it off to see your black and white heads attached to the face mask. Honey has excellent antibacterial properties which prevent and reduces acne. It also slows down aging with its antioxidant content. Honey will further boost skin complexion and moisture it leaving it smooth and soft to touch. The activated charcoal used will remove toxins, chemicals, bacteria and other dirt materials that have settled within the pores of your skin, hence deeply cleansing it to give you flawless complexion. It does not get absorbed into the skin. This face mask with its rich ingredient will help rejuvenate any skin that has been damaged due to environmental conditions and also reduce aging. Powder the rose petals and mix thoroughly with yogurt in a bowl. Add a bit of honey into the mixture to form a peel off mask. Apply it to the face and leave it for 15 to minutes until it can be easily peeled off. Yogurt has anti-aging qualities and is known to reduces wrinkles and fine lines. The lactic acid contained in it helps remove dead cells and rejuvenate skin. Yogurt also has a cooling effect on the skin. The rose petals impart its natural oils and sugar to your skin giving it a moisturized beautiful blush glow. It also has therapeutic properties and is known to release stress. Cucumber with Glycerine is another face mask with skin lightening effect. Use this pack at night, and you will be surprised to see the wonders it does over night. Take the juice of a cucumber and mix it with a tablespoon of glycerine. You may also add half a teaspoon of lemon juice into the mixture. Now, wash your face using a mild face wash and apply the mixture onto your face before going to bed. Spread a thin layer of tissue on it. Wait for 15 to 20 minutes for it to dry well. Peel the mask off and wash with cold water. Here cucumber lightens and brightens your skin while glycerine leaves it soft and supple like baby skin. Cucumber contains ascorbic acid and caffeic acid, both of which helps soothe skin irritation and other problems and helps retain water. Glycerine is ideal for oily skin as it fights all oily skin problems like pimples, acne, and blackheads. Cucumber juice along with glycerine is commonly used as an overnight face pack as it replenishes skin to make it healthy and beautiful. These DIY face masks are a must try as they can be easily prepared and used and you wouldn't even have to run to the spa every week. Most of the ingredients mentioned above are always available at home. Therefore it is a cheaper solution too. However, they are also useful as they give you smooth, nourished, tightened and brightened skin.